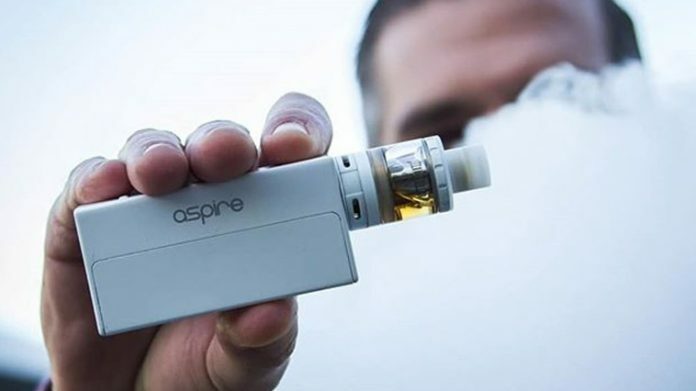 Aspire is a brand that continually steps up their game with improved hardware. You may have heard of their impressive array of tanks, like the Nautilus, but maybe you aren’t familiar with their vape mods. The Aspire NX75 is one of Aspire’s vape mods that got my attention in the last couple of years. They have since gone on to produce some other great products, but I think that this one is still worth talking about. The NX75 box mod is a more affordable option for someone who wants a nice mod but doesn’t want to spend a ton of money to get one. This mod has a sleek design but is anything but flimsy, which is great if you want a hefty, but lightweight piece of equipment that’ll last you quite a while. This beauty takes a single battery, a wattage range of 1-75 watts, a resistance range of 0.1-3.5ohms, and some pretty decent temperature control capabilities. You have a choice of four different finishes: red, black, white, or my personal favorite, the stainless steel. The Aspire NX75 is constructed out of zinc alloy, and though the shape is nice and sturdy, you aren’t going to feel like this mod is too big. You can easily fit it inside of your pocket, which is a huge plus for those of you who constantly vape on-the-go. The OLED screen display is a bit smaller than some of the newer devices on the market, but it’s easy to read and is streamlined for a simple vape experience. You’re also going to find two other buttons below the power button. These are the W and T buttons—which stand for Wattage and Temperature Control. With these buttons, you can seamlessly switch between wattage and TC modes. The NX75 is a great option for vapers who are looking for a device that is capable of a simple vaping experience, as well as a customized experience for the more advanced vaper. Whether you prefer vaping in standard wattage mode or prefer more control over your vape experience and are a Temperature Control freak—the Aspire NX75 box mod is going to deliver. The NX75 mod has something called Customizable Firing Button Profiles (CFPB). This feature allows the user to customize their power (or heat) to have even more control over their Aspire’s flavor experience. Just click the NX mod buttons to begin experimenting. Aspire also made sure to include the usual safety features in the NX75, as well as the option to utilize a child lock system. Upgrades to the firmware are easy, too! If you want to upgrade the firmware of your device check for updates from Aspire’s website and connect your Aspire NX75 mod via USB to your computer. The Aspire NX75 box mod is a device that—although not brand-spanking-new—deserves a spot in a vape collector’s home. The NX75 may be a nice choice for someone who is new to vaping, although the customization options are a bit advanced for novices. If you’re seeking a mod that lets you easily switch between Wattage and Temperature Control Modes, has CFBP capabilities, and is easy to travel with, then the NX75 is more than worth the price. Need to find a tank for your Aspire NX75? Check out Aspire’s amazing line of tanks.